The cold roll forming process uses strip metal which is passed through specially designed sets of rolls to gradually form the end profile shape. This stage by stage continuous forming and bending process allows us to shape the material without adding unwanted internal stress and also gives us the flexibility to manufacture almost any shape, to almost any length efficiently, accurately and importantly, consistently. 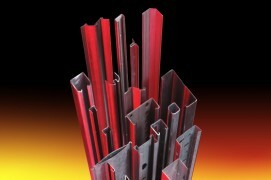 Roll forming is ideal for producing constant-profile parts with long lengths and in large quantities. Cold roll forming can be carried out on a wide range of materials from Steel, Aluminum, Copper, Brass, Stainless Steel and even Pre Painted materials. In fact if a material is ductile and formable it could be roll formed. The investment in our cold rolled forming machines enable us to handle strip widths ranging from 15mm by 0.5mm thick to 450mm by 5mm thick. 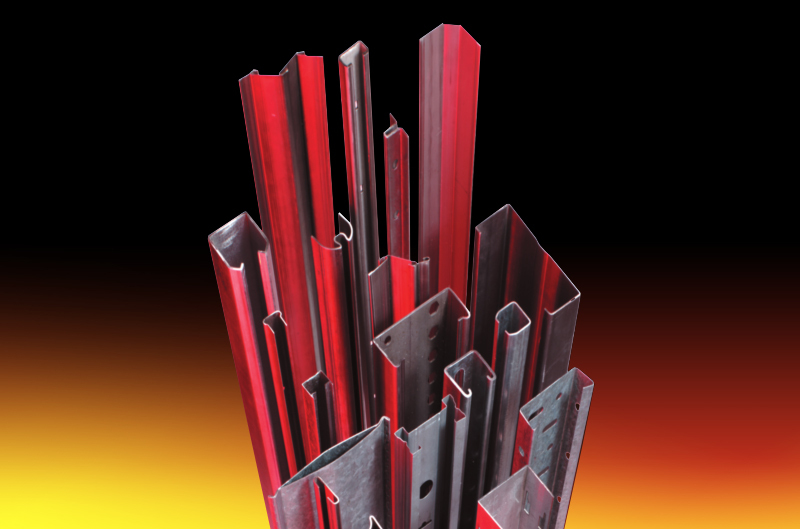 Steel Sections take a very strict approach to quality and all processes and are managed via our internal quality management systems to ISO 9001:2008. All sections produced have to pass an initial inspection and approval process, followed by consistent periodic checking throughout the production process.